For the longest time, real estate selling has been about building relationships between buyers and sellers. Establishing trust and confidence is necessary, after all, to transform single transactions into a long-term partnership. Real estate agents today still have the same outlook; the way they conduct business and how buyers screen properties, however, have changed significantly. These days, savvy agents incorporate technological advances into their processes. In fact, those that refuse to adapt are often at a disadvantage. Technology plays a significant role in real estate today. This is especially true in Western Australia where real estate properties are in large supply. The problem existed as early as 2008 when the population growth slowed while lot development projects increased. The Western Australian Planning Commission at that time approved 764 lots, but the population only grew by 498. When supply is higher than demand, sellers must vie for buyers’ attention; and most of the time, as was mentioned, those who use state-of-the-art technology are the ones who stand a much better chance to succeed. Thanks to technology and the Internet, distance is irrelevant in that buyers with the means and intent to buy a property anywhere in the country can do so with ease. Email, video, chat apps and social media help facilitate long-distance brokering. It is now possible, for example, for a real estate agent in Albany to cross-promote a listing to a network that reaches buyers nationally and internationally. Real estate agents may compete for buyers, but it’s customary for them to form networks to expand their reach. It’s a common practice for agencies that operate in partnership with a national company. Thanks to improving Internet infrastructure in Australia, agents can reach out to other agents in their network via shared databases and request their help in finding potential buyers for their listings. As of June 2018, Australia’s Internet subscribers grew to 14.7 million — a 3.6 per cent increase in just six months according to the Australia Bureau of Statistics. Naturally, real estate sellers and agents followed where their target markets are. Online advertisements, marketing campaigns via online magazines and real estate search engine optimisation (SEO) are just some methods that resulted from this development. Traditional practices like putting up a local newspaper ad and handing out flyers still have their merits, but online marketing has been proven to be more effective as well as cost-effective – and a much more convenient option. High-performance cameras and smartphones are getting cheaper and marketing-savvy real estate professionals are taking advantage of the fact to boost their promotions. They produce high-quality images and videos that show real estate properties in the best light. The time and resources they invest in real estate videography and photography can pay off. A property’s appearance is a deciding factor for buyers’ interest, and professional videos and photos are an excellent way to show its appeal to grab buyers’ attention in an over-saturated, competitive market. There’s no doubt about it: real estate benefits a lot from modern technology. It will serve sellers and buyers well to choose an agency that maximises the very latest technology in promoting, selling, and facilitating real estate purchases. 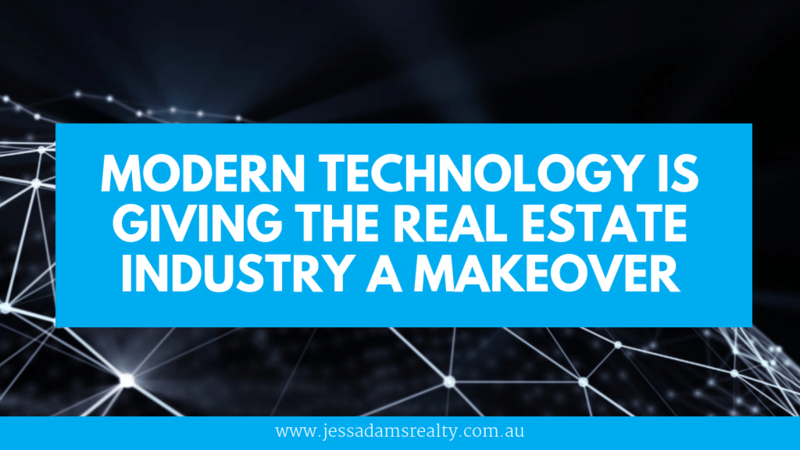 If you’re looking for a modern and effective Albany Real Estate Agent – fill out the contact form below to learn about what Jess Adams atrealty can do for you.